Comfort Clinics has been approved by Kamuzu College of Nursing Blantyre Campus to host student nurses in our Maternity Ward. The first two students – Pauline Tembo and Martha Katete – arrived on November 17th and completed their internship with us last week. Both women were already experienced nurses and had returned to college to attain an additional diploma as Nurse Midwife Technicians. During their internship, they delivered 20 babies and much more. 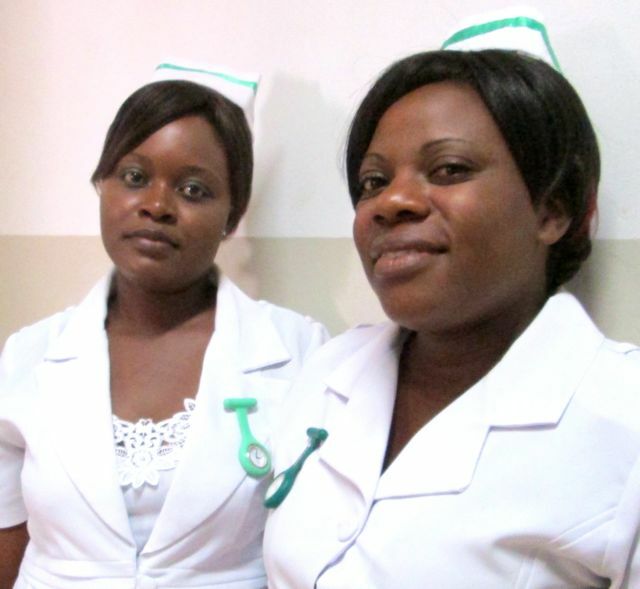 Pauline and Martha will graduate this month and we congratulate them on a job well done! We would like to thank Kamuzu College of Nursing for partnering with us and we look forward to having a long relationship with them. We are hoping that next year, we will be approved by their Lilongwe Campus to also start receiving student nurses for our Paediatric Ward! This entry was posted in Health Care, News from Malawi and tagged Comfort Clinics, Kamuzu College of Medicine, Maternity ward. Bookmark the permalink.